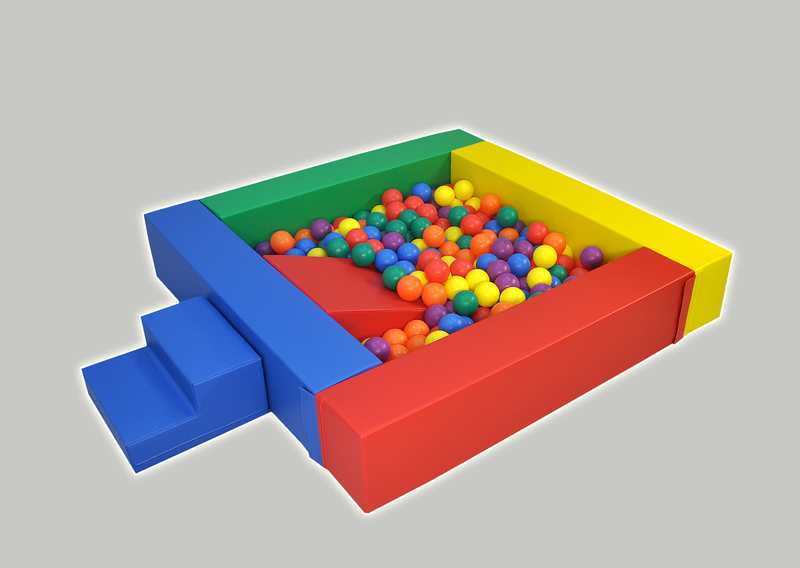 This multi-coloured Ball Pool is made of a firm polyethylene foam with a closed cell structure. Covered with a tough artificial vinyl leather material. Shapes are robust, water resistant wipe clean, easy to care for, and tested for harmful substances. Ideal for inside and outdoors. Walls join together with Velcro. Blue, Green, Yellow, Red multi-coloured ball pool. 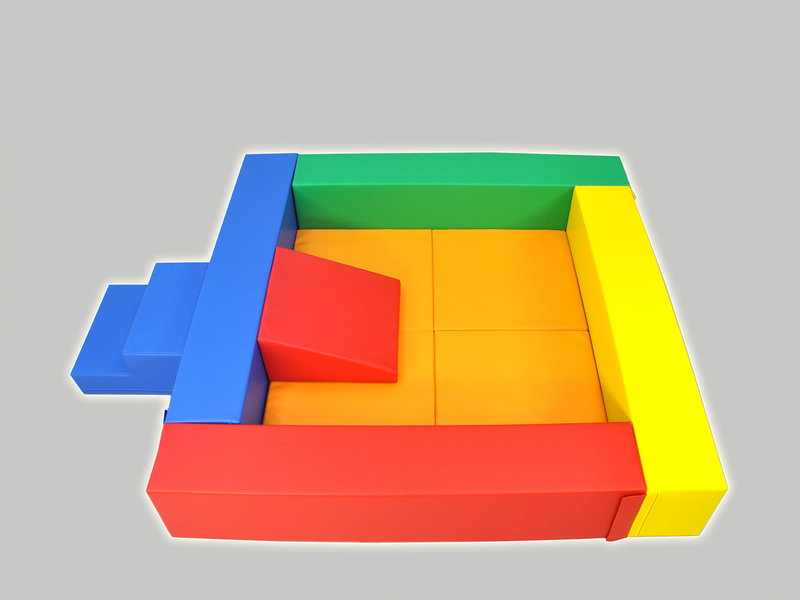 Comes with inner flooring soft mat, slide shape and step shape. 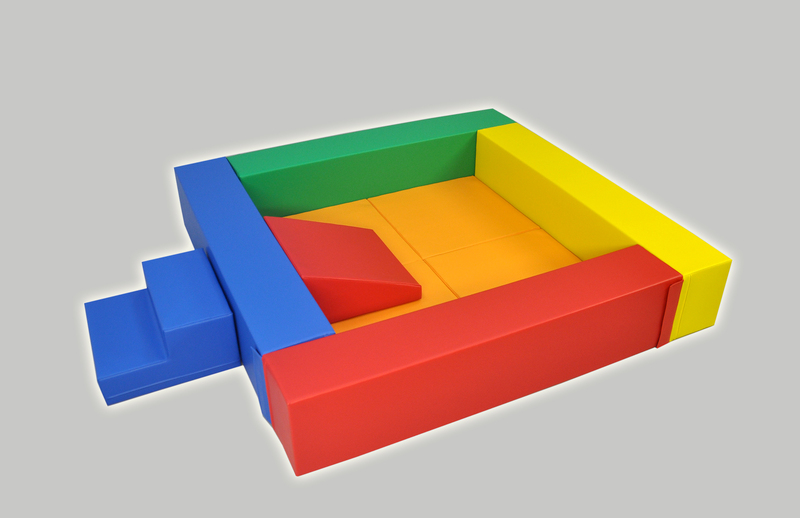 Orange soft mat, Red slide shape and Blue step shape. Please note: Ball pool balls not included.